These are exciting times for citizen neuroscientists. In the last few years, all kinds of new EEG systems have appeared. When we first started looking into low-cost EEG hardware, we only found a handful of options — the OpenEEG project, the Emotiv EPOC, and Neurosky’s MindWave. Now, it’s hard to keep track of all the hardware to choose from, and harder still to decide which system is best for a particular use. The state of the art, obviously. 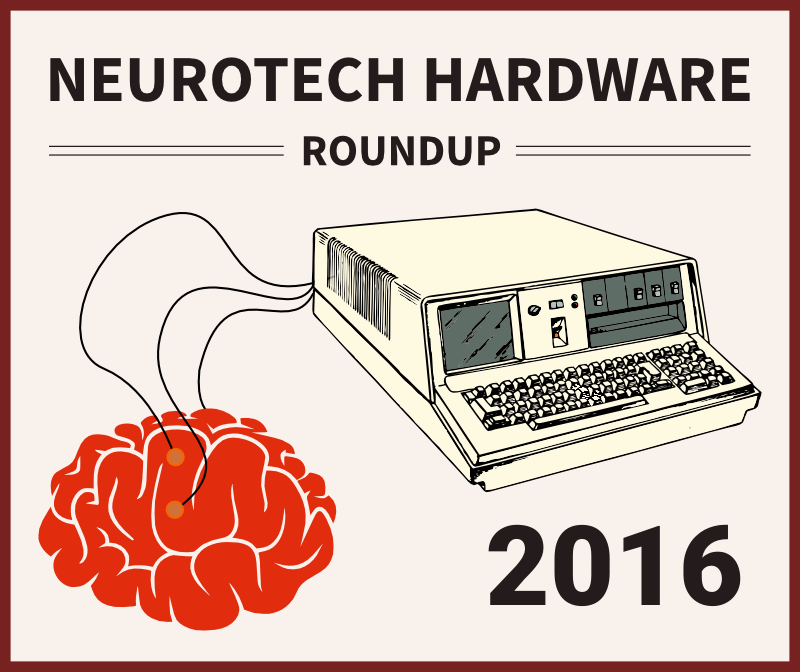 Inspired by a long discussion of affordable and easy to use Neurofeedback hardware/software combinations over on NeuroBB, I decided to collect all the sub-$1,000 EEG hardware I could find into one post. Aside from the OpenBCI and Emotiv EPOC, I have not personally tested any of these systems. This post should not be considered an endorsement, merely a list of some of the available options, some of which I wasn't aware of until recently. The list is roughly ordered by my personal assessment of the device's likely usefulness to readers, weighted by preference for open source, tinkerer-friendly designs and helpful, active user communities. Comments regarding any of these devices or others that I might have missed are most welcome. The OpenBCI is an open-source biosignals acquisition board that can handle EEG, EMG, and ECG signals with low noise and good sample rate. The OpenBCI’s learning curve is steeper than that of many other devices in this list, but it is also more flexible and powerful. The OpenBCI’s 100% open-source hardware and software invites tinkering, and there is an active online user community to share ideas and help out newcomers. The original OpenBCI has 8 channels and costs ~$499.99, but can be expanded to 16 channels with a Daisy Chain Module that brings the total cost to $899.99. It ships with gold cup electrodes and 10–20 conductive paste, as well as an adapter cable for use with “touch-proof” electrodes; it is also compatible with dry / active electrodes. 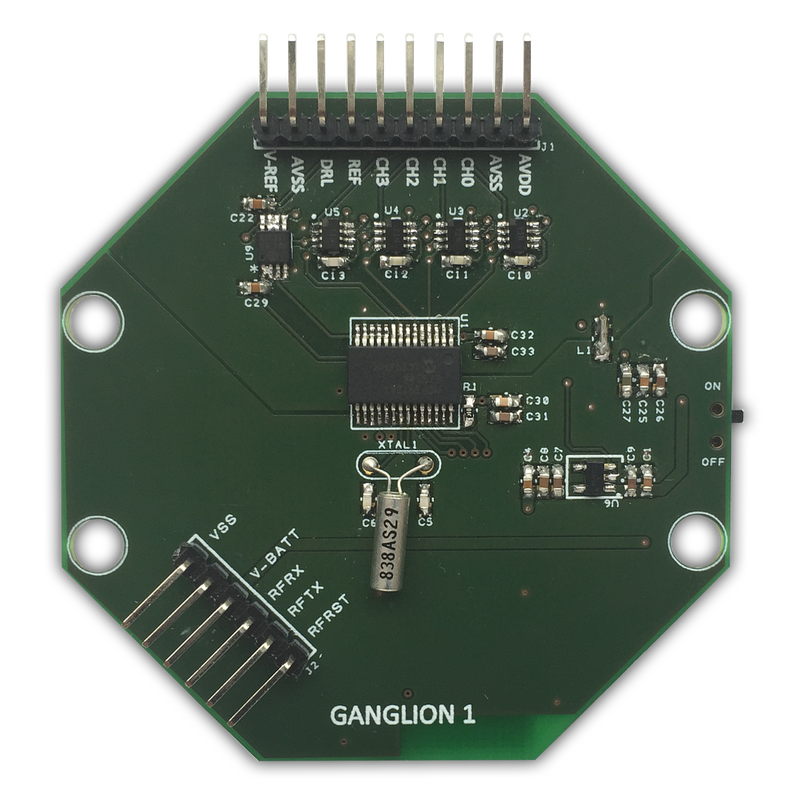 The OpenBCI Ganglion has 4 channels and costs $99. It ships with the same gold-cup electrodes and 10–20 paste as the original OpenBCI. 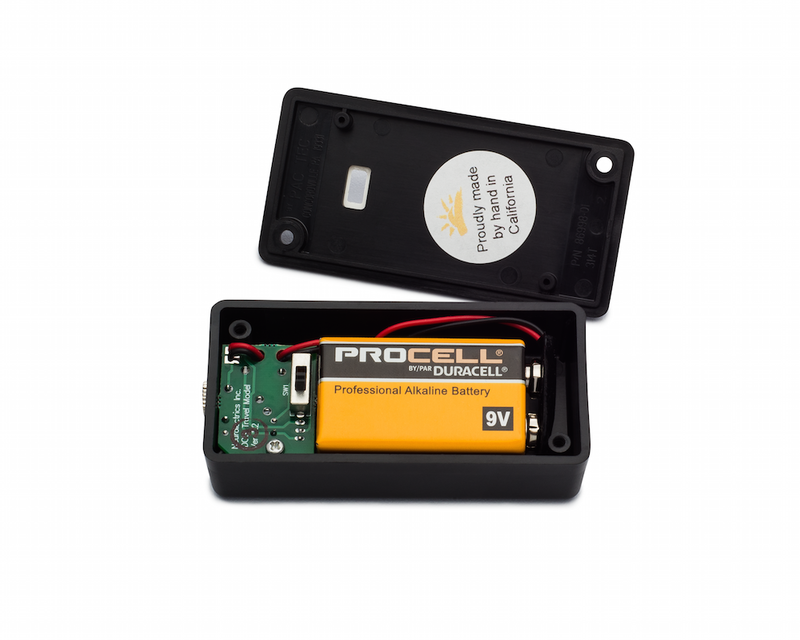 It also has many of the same features — same form-factor, same software, and a micro SD card slot for logging data — but the Ganglion uses a Simblee bluetooth module rather than a Gazelle module, has half as many channels, and is less than a quarter the price. The Simblee bluetooth module will allow the Ganglion to stream data directly to a smartphone over BLE. 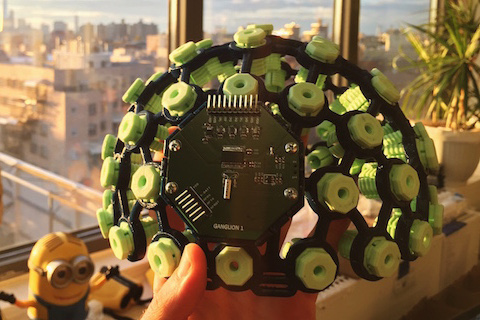 The Ultracortex is an open-source, 3D printed headset that holds EEG electrodes at configurable 10–20 system locations. The Ultracortex is compatible with the original OpenBCI as well as the OpenBCI Ganglion, and could probably be used with other EEG systems as well. The Ultracortex IV can be bought fully assembled for $599.99. An unassembled Ultracortex kit is available for $399, and a print-it-yourself version for $299. You can also build your own Ultracortex from scratch much more inexpensively if you have a 3D printer, plenty of patience, and are willing to source the parts yourself. The OpenEEG project (it’s not a commercial company, but a group of enthusiasts) has released plans for several DIY EEG acquisition boards. They are all open-source hardware, and are compatible with a number of open-source software suites including OpenViBE, BrainBay, BioEra, and others. The most popular OpenEEG board at this point is the ModularEEG. The cost of the OpenEEG varies, because it is a DIY project, but assembled boards can be bought from Omilex for ~$60–110. According to OpenEEG’s website, a complete ModularEEG system, with electrodes and all, typically costs $200–400. The ModularEEG is a two-channel system, and is compatible with wide range of electrodes. Interaxon’s Muse is an easy-to-use brain-sensing headband that has apps for concentration and meditation training. It sends data over bluetooth and is compatible with recent versions of iOS, Android, Mac OS, Windows, and Ubuntu Linux. 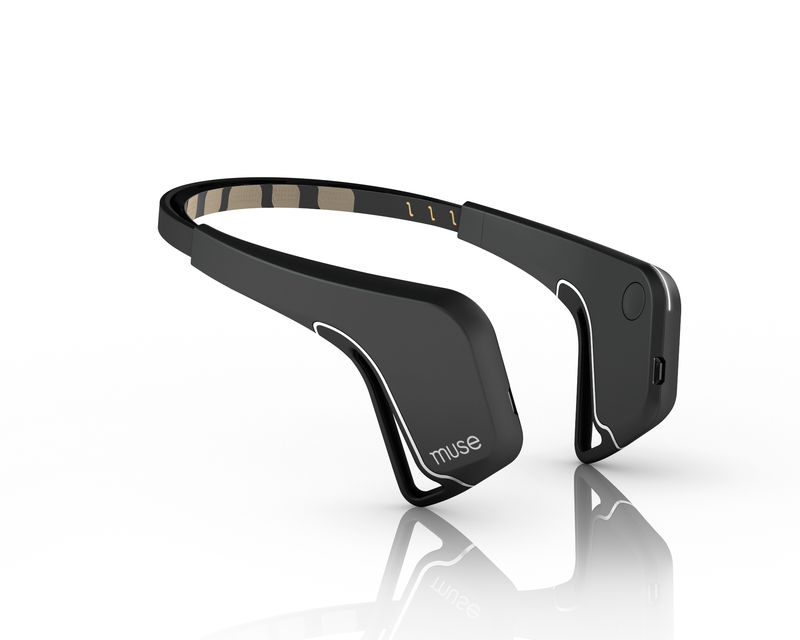 The Muse headband costs $299, has 4 channels — two on the forehead and two on the back of the head at 10–20 system locations AF3, AF4, TP9, and TP10. The reference electrode is at AFz. Though not open source, Muse does offer an open SDK that allows access to raw data as well as data that has been processed to some extent on the headset itself. This, plus its user-friendly headband design (with low-fuss dry electrodes that avoid hairy regions) has made it a favorite among hackers and members of the art-tech avant garde. Output from NeuroSky proprietary eSense meters for “Attention” and “Meditation”. 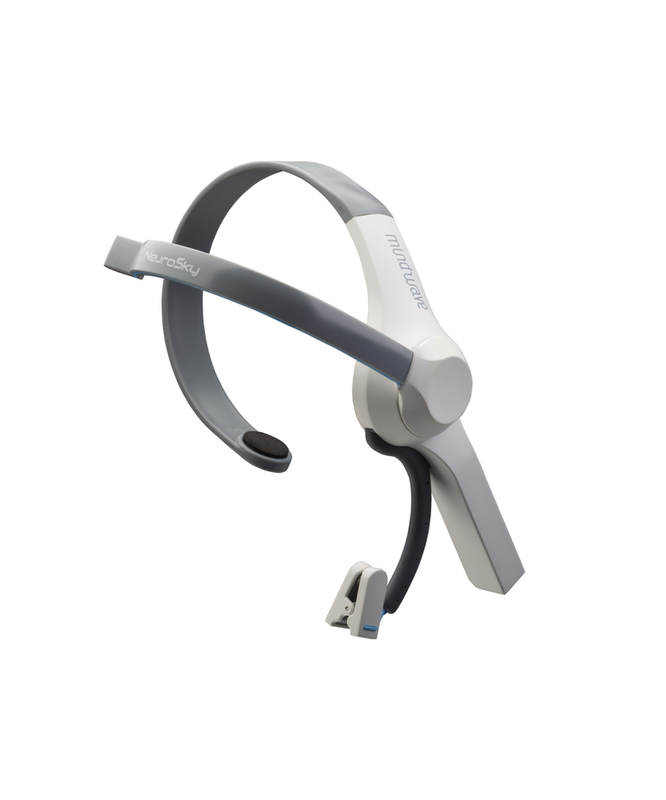 The NeuroSky MindWave costs $79–99 and records 1 channel of EEG data using a dry passive electrode on the forehead (FP1) and a reference electrode clipped onto the left earlobe. The MindWave uses a 12bit ADC; the data sample rate is 512Hz. Emotiv makes two reasonably affordable consumer gaming headsets, the Emotiv EPOC and the Emotiv Insight. The Emotiv EPOC (launched 2009) sells for $399, and the EPOC+ (launched in 2015) sells for $499, but the data from the headset is encrypted, and you are not allowed you to access your raw EEG data without buying the $799 Developer SDK. The EPOC has 14 wet electrodes that use saline soaked felt pads, and two reference electrodes. It transmits encrypted EEG data over Bluetooth to a USB dongle. The Analog-Digital converter in the EPOC has 16 bit resolution. Shortly after the EPOC was launched, and Emotiv's Tan Le did an impressive demo on TED with the help of a conveniently bald assistant, an engineer by the name of Cody Brocious cracked the EPOC's relatively weak encryption and posted an open-source driver that allows access to raw data. This code sat in a proof-of-concept state for several years (during which certain amateurs unsuccessfully attempted to make it do something useful like connect to OpenViBE). It was then taken up by Kyle Machulis and developed further, though as far as I know there is still not a way to connect the Emokit driver to OpenViBE or other analysis software. 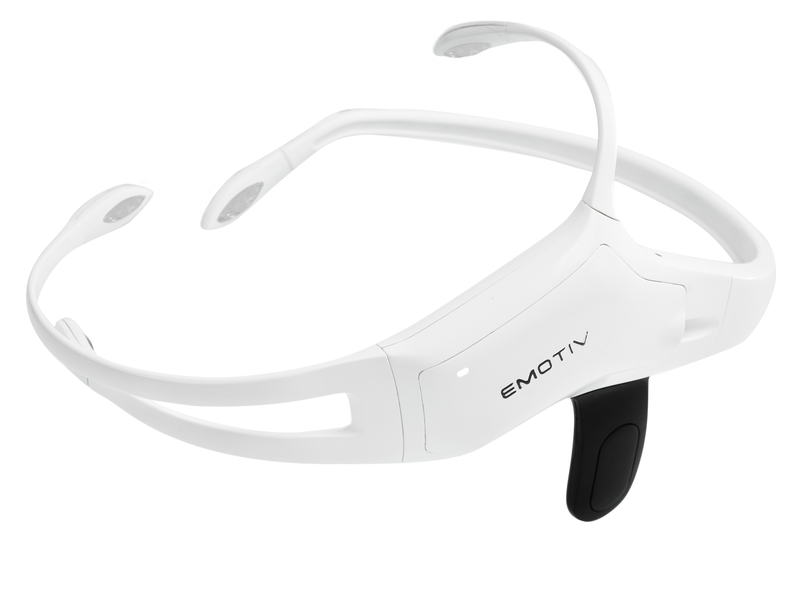 Emotiv’s software runs on Windows, Mac, iOS, Android, and Linux. 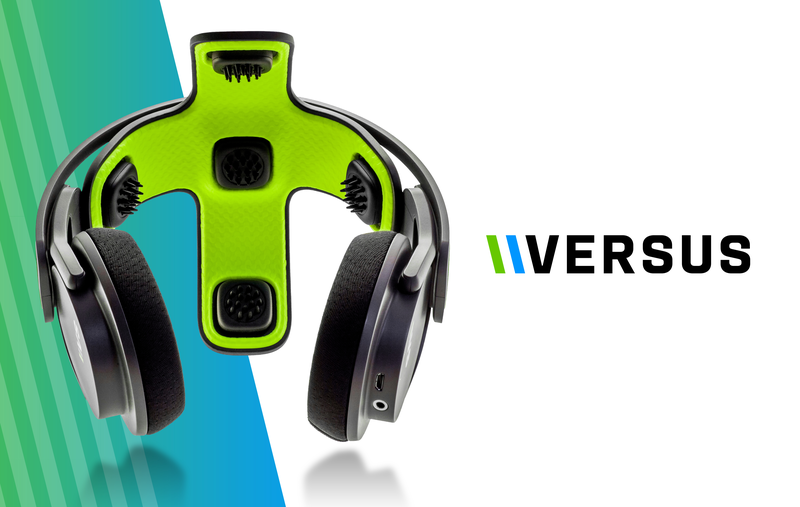 The Versus is a unique consumer EEG headset designed for athletic peak-performance neurofeedback training. It has integrated headphones for audio feedback. The versus costs $399.95 and has five dry electrodes at 10–20 locations CZ, C3, C4, FZ, and PZ, with one ear-clip reference electrode. It transmits data over Bluetooth Low-energy 4.0. Versus was recently the topic of some discussion and reports on NeuroBB. 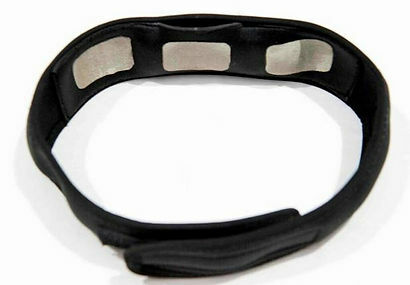 The Melon headband is a slim EEG headset for focus neurofeedback. The Melon costs $149, has 4 dry electrodes, and transmits data over Bluetooth Low-energy 4.0.
iFocusBand is a neoprene headband with three flexible woven electrodes and a 2-channel EEG amplifier. It’s targeted primarily at sports performance focus training, comes with a smart phone app, and costs $500. Technical information is difficult to find on the company's website, but based on their very brief SDK pdf, it appears to record at 256 samples/second and transmit data via Bluetooth. Here are three interesting products that didn’t get fully funded, or have experienced unexpected delays and haven’t yet shipped to the public. 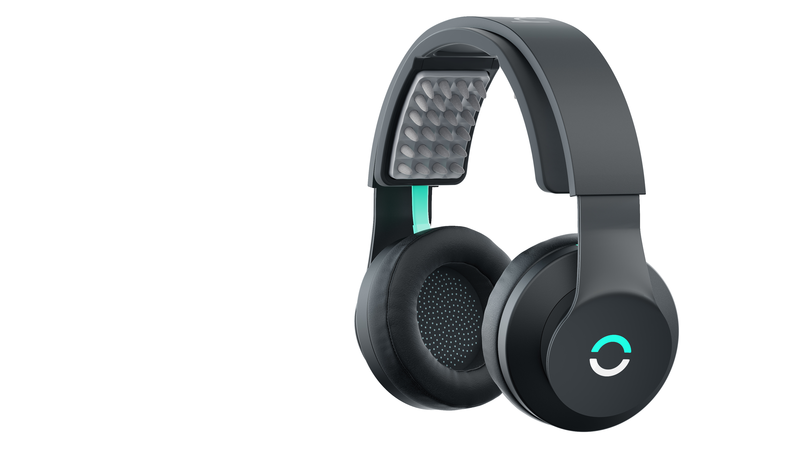 Kickstarter backers pledged 1.9 million dollars to bring Kokoon’s EEG sleep headphones to the masses. Their goal was $100,000. 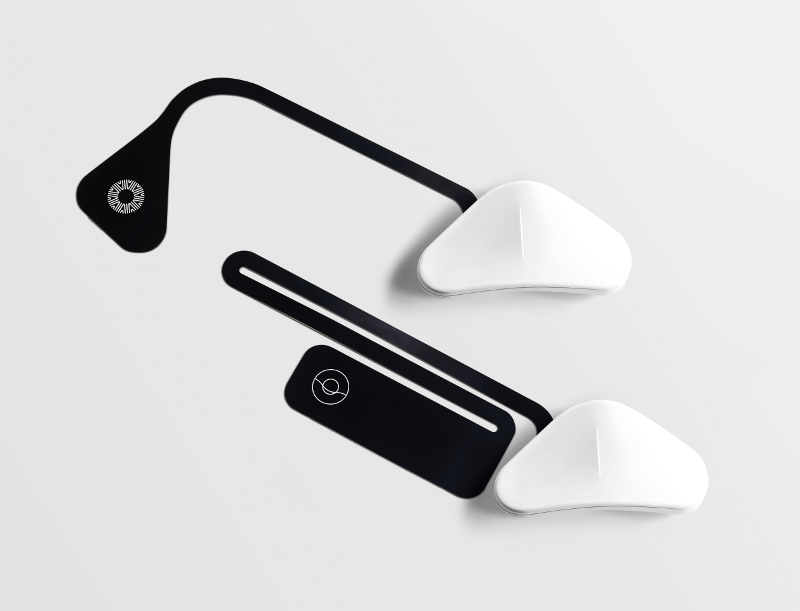 Kokoon’s headset provides calming audio and and detects your sleep cycles. The Kokoon ranges from $219 to $349 for the developer edition. Narbis ran a Kickstarter campaign for a pair of neurofeedback glasses that used the tint of the lenses as a neurofeedback modality for focus. The Narbis has 1–2 channels and uses dry electrodes at 660 samples/second with a 24bit ADC. Data is sent over Bluetooth 4.0, and the Narbis is compatible with Windows, Mac, iOS, and Android operating systems. The Kickstarter campaign fell short of its goal — nerdy-looking neurofeedback glasses that blank out when you get distracted seem like a bit of a niche product — but their website indicates that they’re still working on the headset. Despite my skepticism of Narbis’ industrial design, I have to give them credit for being very straightforward about their tech specs, right down to schematics. The Aurora EEG dream mask was successfully funded on Kickstarter in Dec 2013, but they failed to ship to their backers on schedule. An update on November 12th, 2015 said that mass production of the dream mask had begun. The Aurora is available for pre-order on their website for $299. The Wikipedia article is skeptical, but although it claims that “Studies on healthy adults have failed to find evidence of cognitive improvements”, it also states that “there are no known risks of tDCS at this time” — and if that’s so, it shouldn’t hurt to test it out yourself with the proper safety precautions. I haven’t tried neurostimulation in general, or these devices in particular, myself; I can’t say much about them other than that they exist, and I’m keeping a watchful eye on them. Funded by a stretch goal on OpenBCI’s Kickstarter campaign for the Ganglion and Ultracortex, the OpenBCI tDCS shield is now available for pre-order for $49.99. 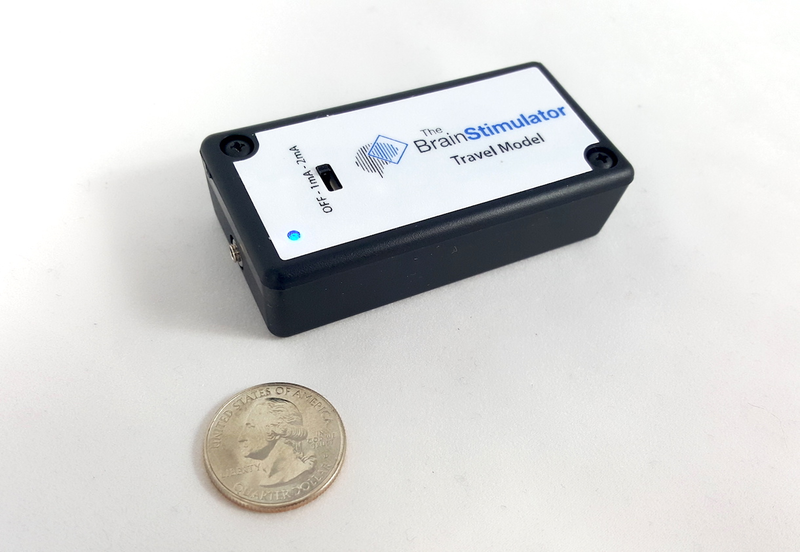 If you’re into experimenting with tDCS and like the freedom (and occasional frusteration) of open-source, this seem like a good way to try it out. It stacks onto either the original OpenBCI or Ganglion board — it can’t run on its own. The OpenBCI+tDCS combination opens up the interesting possibility for simultaneous neurostimulation and EEG recording. The tDCS sheild will also be compatible with the Ultracortex, by using adapters for the tDCS electrodes. 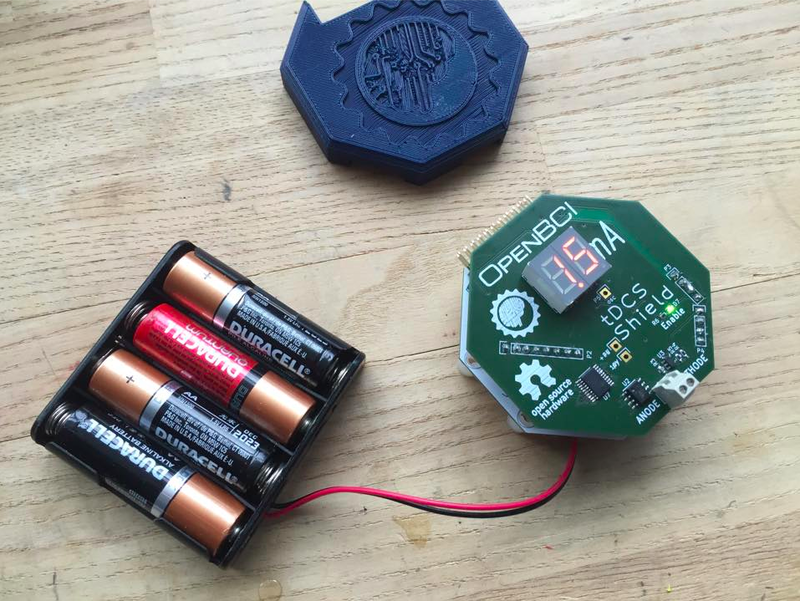 Like the OpenBCI, OpenBCI Ganglion, and Ultracortex, the tDCS sheild is open-hardware, so you can modify it if you dare. Its operating voltage is 12v, and its constant-current output is adjustable, manually or digitally, from 0–2mA. 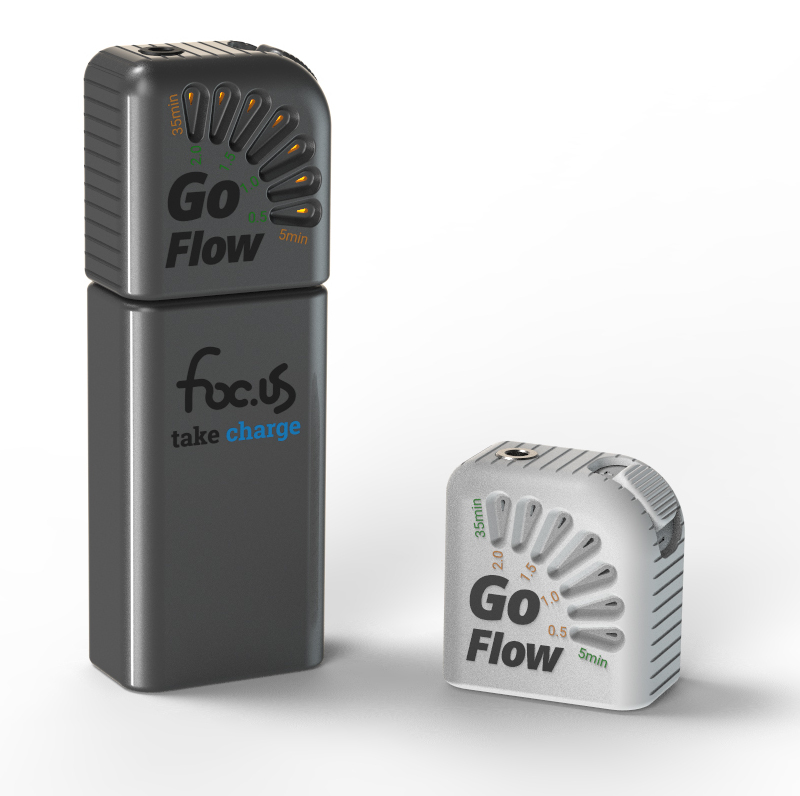 Focus’s line of neurostimulation devices starts with the amazingly cheap Go Flow, at $14.99 $149.99 — a tiny widget that snaps onto a 9 volt battery and provides transcranial direct current stimulation, which can be adjusted from 5 minutes at 0.5mA to 35 minutes at 2mA. The current and time can’t be set independently. Their flagship product is the Focus v2, which they bill as “The Worlds Most Advanced Electrical Brain Stimulator”. 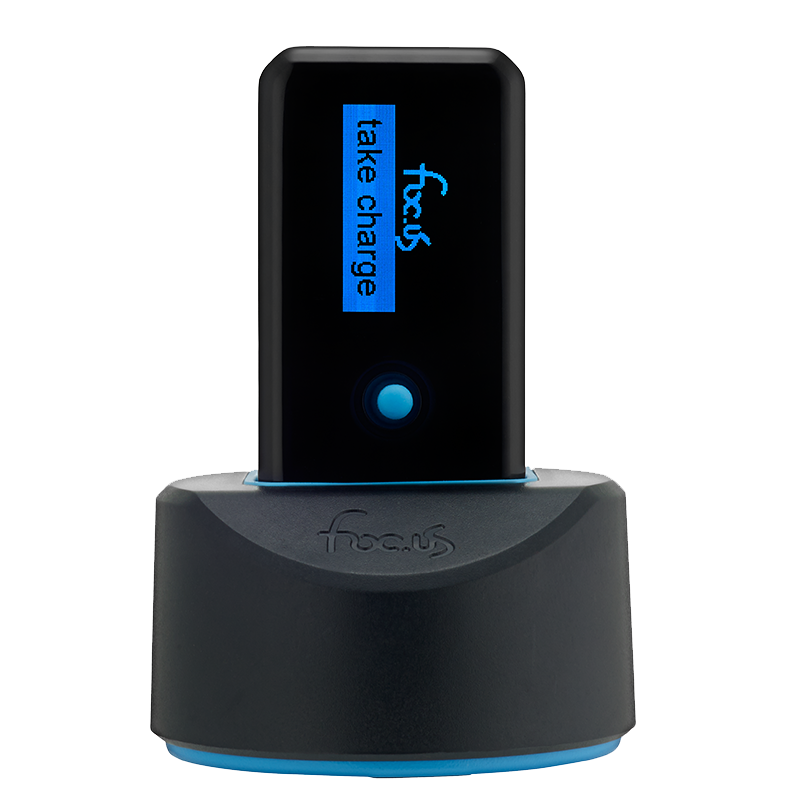 The Focus v2 supports a plethora of different types of neurostimulation: tDCS, or transcranial Direct-Current Stimulation; tACS, or transcranial Alternating-Current Stimulation; tPCS, or transcranial Pulsed-Current Stimulation; and tRNS, or transcranial Random Noise Stimulation. It even has a double-blind sham mode! The Focus v2 has apps for Mac, Linux, and Windows, and mobile, and sells for $299. I’m much more likely to trust the claims of companies that have a good signal-to-noise ratio between legit science and marketing-speak. If they tell you what their product does and how it works, and their marketing is backed up by data, I appreciate it. The Focus scores fairly well on all of these counts. The hardware isn’t open-source, but their Android app is, and they’re at least upfront about the types of stimulation their devices provide, including power, voltage, and frequency. You can find all that fun stuff over on their FAQ page. A typical battery-operated TENS unit is able to modulate pulse width, frequency and intensity. Generally TENS is applied at high frequency (>50 Hz) with an intensity below motor contraction (sensory intensity) or low frequency (<10 Hz) with an intensity that produces motor contraction. While the use of TENS has proved effective in clinical studies, there is controversy over which conditions the device should be used to treat. Wikipedia discusses applications of TENS for pain relief in various areas of the body, but how TENS relates to Thync seems unclear. A soothing neck massage, a splash of cold water, a kiss from the one you love. Each action influences peripheral nerves in your head and face, signaling brain regions to change the way you feel. Thync works using the same pathways by delivering low-level electrical pulses to these nerves. A cursory Google search didn’t reveal anything more concrete. I asked a Thync representative if they could answer some questions about the technical details of their product — like what frequency, voltage, and amplitude it applies to the old grey matter, and what nerves they stimulate with TENS — but haven’t yet received a response. If anyone knows more about the Thync’s technical specs, let me know. The Thync costs $199, and has iOS and Android apps, which it communicates with via Bluetooth. Halo Neuroscience made a splash on the internet recently when they announced the Halo Sport after a long period of R&D. The $549 price-point is pretty Elite, too, but the design is quite sleek. 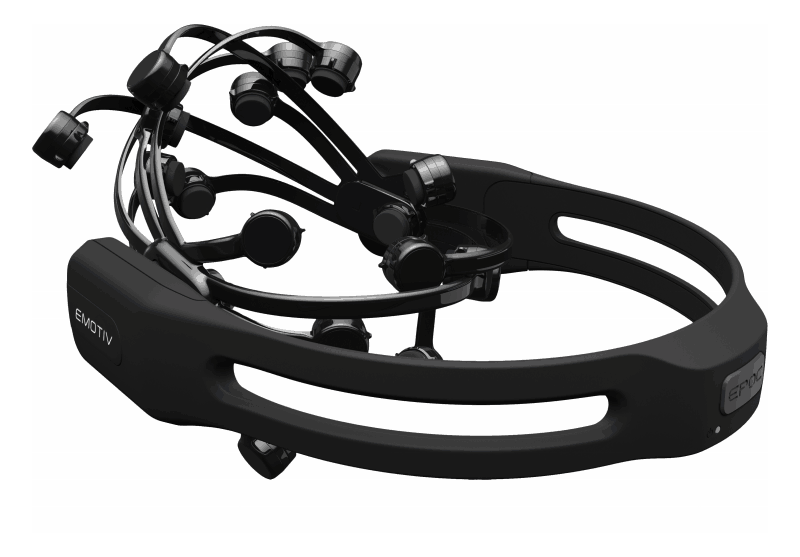 The Halo uses conductive foam electrodes which specifically target the motor cortex. The science page seems to have been the subject of homeopathic dilution (aside from some in-house research papers). But, after a brief discussion on Product Hunt, their CTO posted an epic comment elaborating on the tech behind the Halo, which some suggested should be turned into their science page. The Halo provides a constant-current to the motor cortex, at under 2mA. 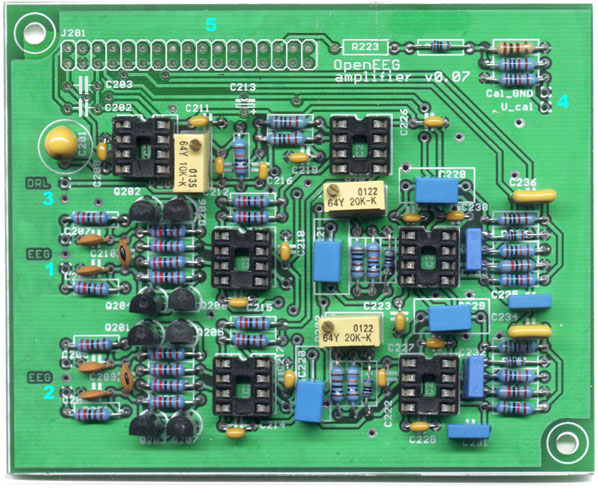 It is capable of providing up to 36 volts, but operates at about 10v when the electrodes have good contact. The part of the motor cortex that controls your hand is approximately at 10–20 locations C3 and C4, and the lower-body motor cortex is located under the vertex, Cz. The Halo targets these three locations. In addition, he states that the Halo can produce “both a sustained current (like tDCS) and what you would call a pulsed current” though the frequency and other details of the pulse are not mentioned. In another post the pulse frequency is said to be “less than 1000 Hz”. 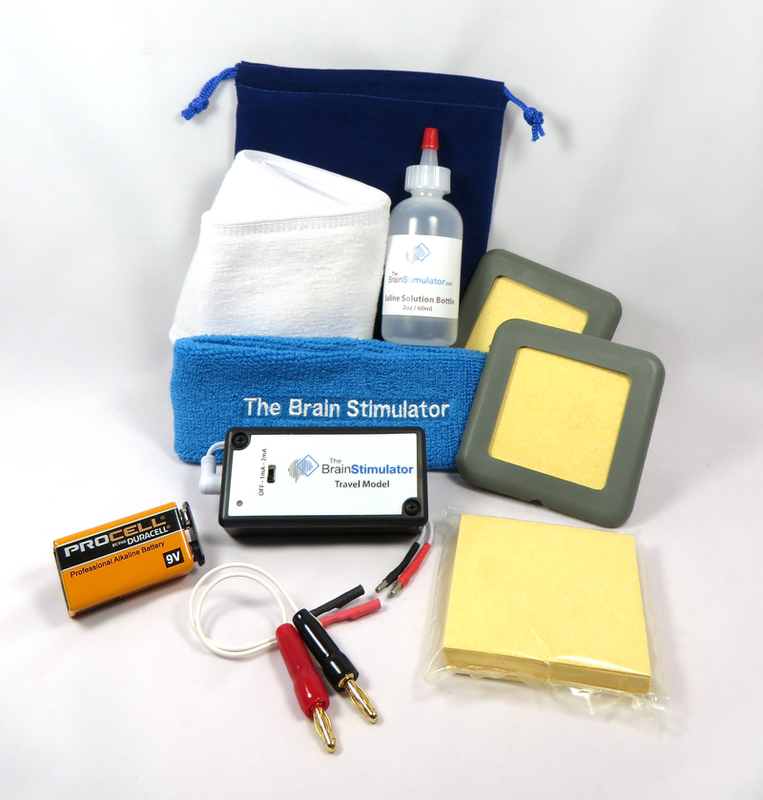 The Brain Stimulator offers simple, affordable tDCS devices. The devices have two current levels, 1mA and 2mA, with a current variance of ± 0.1mA. They run on 9v batteries, allowing around 150 hours of continuous use. Neurolectrics Inc, the bootstrapped company behind The Brain Stimulator, was founded by JD Leadam, who built tDCS devices in his garage and sold them on eBay while a student in college. They have since expanded, and received significant press coverage, but still have that DIY flair. They have interesting info on their research page and in their FAQ. Their basic 2nd generation tDCS stimulator costs $64.95. Their advanced version ($115–120) includes an electrode headband, electrodes, leads, and everything to get up and running other than a 9v battery. The deluxe package ($165.00) comes with two headbands, one of which has adjustable electrode locations, and includes a battery, carry pouch, and all the bells and whistles. I’m a bit of a Luddite when it comes to tDCS. I’m sorry if the sarcasm has crept into my impartial reportage of the field — my brain’s working fine now and I’d like to know more about what’s going on in there before I do any zapping. That said, I’m excited to see what others do with tDCS, and may join in the fun in the future, when I’m done being a skeptical bystander. To finish up the neurostimulation section, here’s a random plug for a blog I don’t read: DIY tDCS, which looks like it has some good info about … DIY tDCS! Yes, I’m finishing an Autodidacts.io article on neuroscience with an animated jif: this is what the internet does to you, people. I hope this article has given you a decent overview of some of the accessible EEG hardware systems and neurostimulation devices available today. As you can see, there are plenty of options for budding neuro-enthusiasts to choose from. I’ve tried to be fair to all the companies represented. I’m biased toward open source and DIY friendly devices, and companies that are straightforward about the technical details of what they’re selling. If you have personal experience with one of the devices and think I misrepresented it, let me know. If you know of a device I’ve missed, or any pertinent details I’ve left out, let me know in the comments below, send a tweet in my direction, or yack about it over on NeuroBB. Thanks for reading!